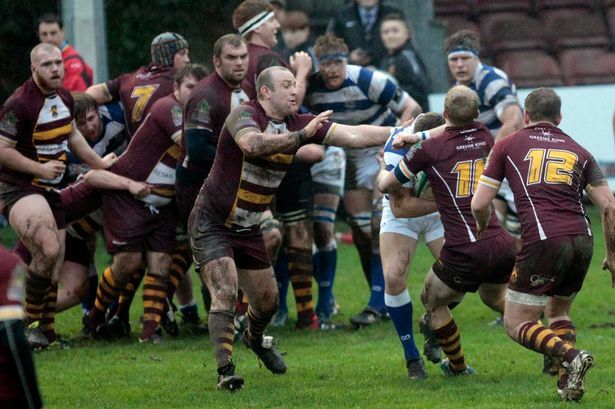 Huddersfield RUFC v Tynedale at Lockwood Park. 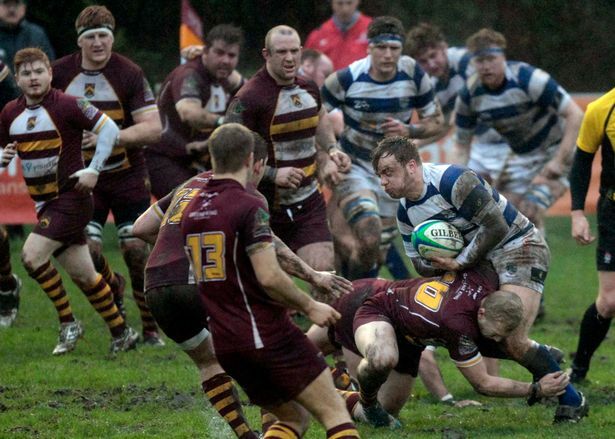 Huddersfield RUFC failed to kick 2016 off with a win after suffering a 20-17 home defeat at the hands of fellow National II North strugglers Tynedale. Tries from Lewis Bradley and Tom Kanouras, along with conversions from Chris Bell, were not enough as Huddersfield suffered a defeat that sees them remain in the bottom three. “It was a very frustrating game,” said coach Gareth Lewis. “We were trying to get those elusive back-to-back wins on the board with a home fixture, and we couldn’t do it. “We had chances to win the game, what with the tries, but defensive lapses cost us the game. 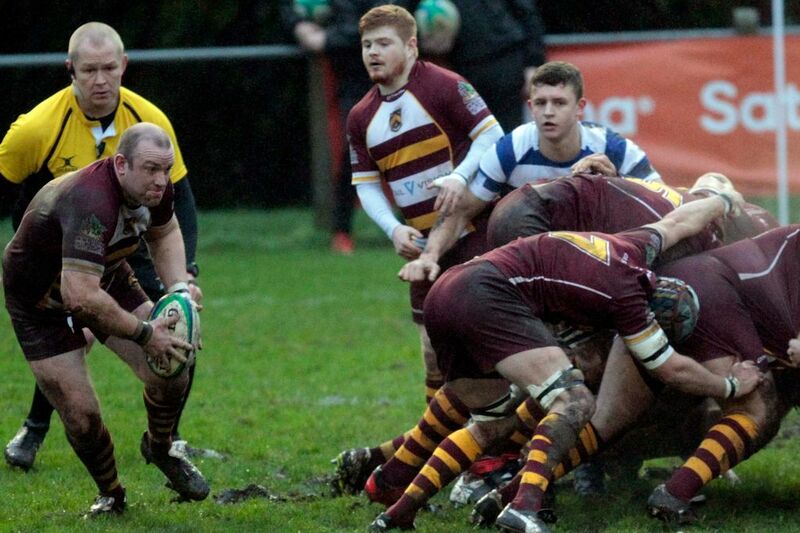 “Conceding the two tries was a key moment before the break. “With just five minutes to go until half-time we were winning and if we’d have just seen that out and held our line we’d have gone into the dressing room in good spirit. “We’d have potentially won the game if we went in at half-time level. “But even with the tries we showed we still had the capability to win the game. Tynedale took the lead with a penalty, but hard work from Tom Hodson forced a knock-on from the visitors and Huddersfield took full advantage when Bradley scrambled over the line for the first try of the match. Bell added the conversion with ease, and when he scored a penalty just minutes later, the Lockwood side looked to be in the driving seat at 10-3. But Dan Taylor gave Tynedale a chance after taking on four Huddersfield backs to score a try, and Ash Smith made no mistake to put the teams level at 10-10. That try swayed the remaining minutes of the first half, and Smith went over from another solo effort with the final play of the first half, and took the conversion again to put Tynedale 17-10 ahead. Huddersfield looked to be getting themselves back into the match early on in the second period, but Jarrad Williams’ spell in the sin-bin was costly as the visitors scored a penalty when he was off the field. Huddersfield didn’t give up hope, though, and substitute Adam Kanouras burst down the left wing to sail over and give the Lockwood Park crowd some optimism. Bell again made no mistake with another successful conversion, but that was to be the last score of the match as Tynedale did well to force the home side into errors. “We’re all obviously very disappointed with how the game went because we competed for most of the game, I think our set pieces let us down and we conceded two really soft tries and that was the difference,” said the ever-present inside-centre Tom Owen. “A couple of penalty decisions were 50-50, but the referee did do well. New loan signings from Yorkshire Carnegie Williams and Oliver Goss made their debuts but couldn’t help their new side in a vital match. “It was difficult for Olly (Goss) under the greasy ball and the conditions were tough for him, but I thought he still did very well defensively with a good few tackles throughout the match,” said Lewis. “I also felt Jarrad was good too. I didn’t actually see what he got sin-binned for, but he carried the ball very well and his work rate was very high. The loss opens up the gap between the bottom three and 13th place, leaving Lewis’ Lockwood Park side with a must-win fixture at Otley next week. “We’ve just got to get a big response now,” added Lewis. “The side is more than capable and that’s probably the most frustrating thing about losing. Huddersfield: Lewis Workman; Oliver Goss, Elliot Hodgson, Tom Owen, Tom Hodson; Chris Bell, Joel Hinchliffe; Adam Tamanis, Lewis Bradley, Anthony Stringwell, Jarrad Williams, Austen Thompson, Nick Rhodes, Ben Hoyle, Nick Sharpe. Substitutes: Dan Jeffrey, Tom Baxter, Adam Malthouse, Henry Walker, Tom Kanouras.